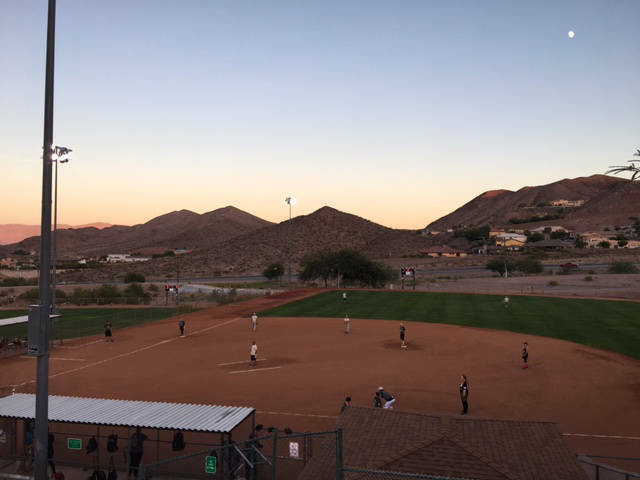 Kelly Lehr Teams in Boulder City Parks and Recreation Department's coed softball league are highly competitive this season, according to Sports Coordinator Kelly Lehr. The Boulder City Parks and Recreation Department’s women’s volleyball league season is coming to an end this month. With one more week of games, the tournament will begin Oct. 16, said Kelly Lehr, sports coordinator for the department. Volleygirls and Synergy are currently fighting for the No. 1 spot, with Heavy Hitters in third and Amazons and Bump, Set, Net tied for fourth. This week will determine tournament seedings for the Monday fall league, and the 2017 volleyball champion title is up for grabs, she said. League standings: 1. Synergy 4-0; 2. Volleygirls 4-1; 3. Heavy Hitters 2-3; 4. Bump, Set, Net 1-4; 5. Amazons 1-4. Men’s softball teams will finish their first round of league play tonight at Hemenway Valley Park’s ballfields. Boulder Dam Credit Union, which had two big wins last week against Duetto and Pit Stop, is tied for first place with Pit Stop. Mad Dogs is close behind in third. Play continues on Thursdays through October with tournament play at the end of November. League standings: Pit Stop 5-1; Boulder Dam Credit Union 5-1; Mad Dogs 5-3; Duetto 4-4; Ralph’s Tires 0-8. Competition in the coed softball league has been tough this season, Lehr said, with Boulder Dam Credit Union and Boulder Bowl battling it out for the best record. Boulder Dam Brewery and Classy N Sassy are tied in third place, with T.Q. Pallets following and Boulder City Merchants and Best Dam Crossfit close behind. Games are played at 6 p.m. Sundays at the ballfields at Hemenway Valley Park. League standings: Boulder Dam Credit Union 8-0; Boulder Bowl 7-1; Classy N Sassy 3-3; Boulder Dam Brewery 3-3; T.Q. Pallets 2-6; Boulder City Merchants 1-5; Best Dam Crossfit 0-6.